The Cluster tool gives you the maximum number of holes with the least amount of hits while minimizing sheet distortion in perforation applications. It is ideal for applications that require punching a pattern of multiple holes with close center-to-center tolerances. The Cluster tool’s custom design helps manage the challenges of perforation applications, such as rapid tool wear, hole distortion and sheet stretch. 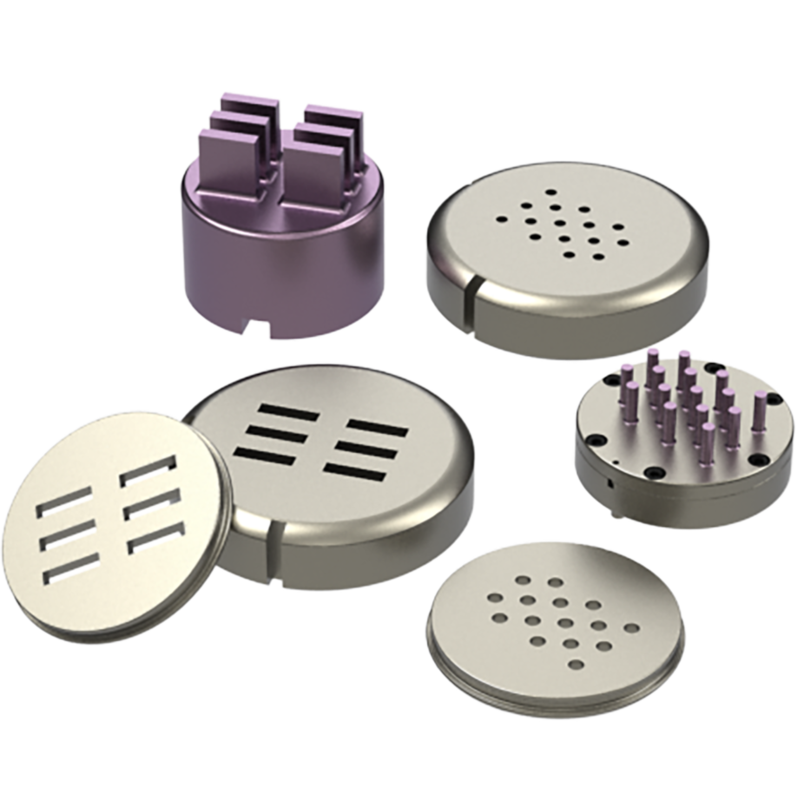 Cluster tools are designed with any hole size, shape or pattern, from 2 to 120 holes per punch. Punches come with a choice of solid or replaceable tip, which allows you the option of replacing the whole punch or just the tip when retooling. If oil canning is a concern, consider adding a back-bending die feature to minimize distortion. Optional performance enhancements are: Punch Coatings to extend tool life and manage application flaws; and Slug Hugger® 2 dies to minimize slug pulling.